We at Fifty Plus books have been writing about retirement now for a number of years. We are well aware that retirement is different for different people because of their life and work experiences. 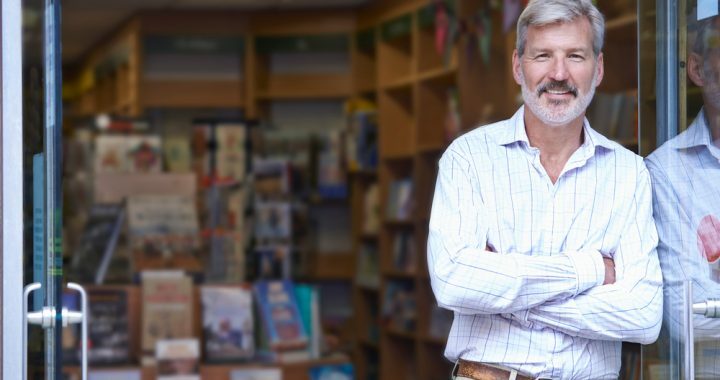 In particular, the challenges faced by those of you who own businesses or owned a business whether large or small are quite different to those who retired from employment. We don’t claim to know all the challenges you are facing or have faced, but here’s an attempt at identifying a couple. You probably all did some study around or heard that you need to plan your succession or exit strategy from Day One of being in business. So, how did that then look for you? Did you plan to sell on to partners, employees or your children? Or was it always your plan to exit when the business had reached a certain stage or when you felt you deserved to enjoy some time to yourself. Either way, there is the emotion of “letting go” and some form almost of grief at the loss of something that was so much part of your life up until the day you closed that door one last time. There is also that temptation to “check in” on how the business is doing without you and to keep giving tips and helpful advice. Whatever these emotions and issues are, the missing piece to the puzzle is that nobody told you to plan your retirement to start enjoying yourself full time and not just on the short holidays you’ve managed for all these years. Anyway, now it’s over to you our readers. Who of you would like to send us a short 300 – 500 word article on how you have let go and are now enjoying your retirement or can advise others on the challenges they face? We will happily publish your stories on our website and make them anonymous if you so desire. For those of you who don’t wish to submit a full article, some short comments would also be helpful. As an added incentive, for the first three stories we receive, each of their authors will receive a copy of our “How to stay healthy, active and sharp in Retirement” E-book. We look forward to hearing from you. Email us at support@retirementbooks.com.au.